OSTC Wellness is open from 6am-7pm, Monday-Thursday 6am-5pmFriday and 8am-12pm Saturday. Memberships are available for $35/month. OSTC is a professional wellness center offering a variety of services to former patients as well as those wanting to stay in shape and be active. Whether you enjoy the encouragement given by our instructors in a group setting, such as our aquatics class, or are motivated to use our state-of-the-art equipment independently, we will work with you to make getting fit fun. The gym overlooks the Wellington Lake and is equipped with free weights, circuit weights, treadmills, ellipticals, and a functional gym area with space for various activities. We also have an indoor heated pool. Our treadmills have a higher weight limit than traditional treadmills and are wider for more comfortable running. Our ellipticals from PreCore Fitness feature an interactive touch screen console. Both, the treadmills and ellipticals allow users to watch T.V. with headphone connection while working out. The pool is equipped with spa jets along a row of seating and a swim jet in the deep end for continued swimming against a steady current. 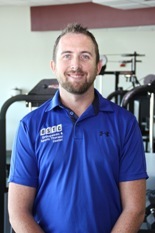 Our staff consists of Certified Strength and Conditioning Specialists and nutritional coaches certified through National Association of Sports Medicine and Precision Nutrition, as well as a Licensed Massage Therapist. 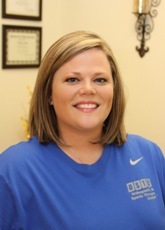 Our professional, energetic employees are here to help you become more physically fit in a friendly and safe environment. We provide personal fitness assessments, customized training programs, and personal training sessions with our specialists. We also implement special services such as body composition testing, exercise prescription, nutritional education by certified nutritional coaches, and sports training and conditioning programs to prepare your athlete for competition. We aim for you to feel great about yourself and will do all we can to assist you in accomplishing your fitness goals. 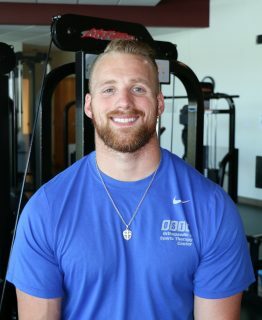 The Certified Strength and Conditioning Specialists at OSTC offer many options for clients who have full-time jobs. Personal training sessions can be scheduled early in the morning before the sunrises, and fitness camps are held in the early morning and later evenings for those who enjoy a group atmosphere. OSTC Wellness is proudly partnered with SilverSneakers®. This program allows you to workout at OSTC through your insurance plan with no additional cost to you. Bring in a copy of your SilverSneakers® card and begin your fitness journey with us! Call us today for more information at 940-692-4688. To find out if your insurance plan qualifies you for SilverSneakers® please call their eligibility line at 866-456-3065. © 2019 OSTC, All Rights Reserved.